Estates Real Estate purchases or sales today! 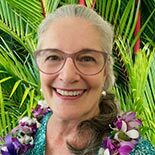 View Catherine's Featured Mauna Loa Estates Real Estate. ©2019 The Search, Maps, Sales, Tax and ALL other information available through MaunaLoaRealEstate.com are believed to be accurate.